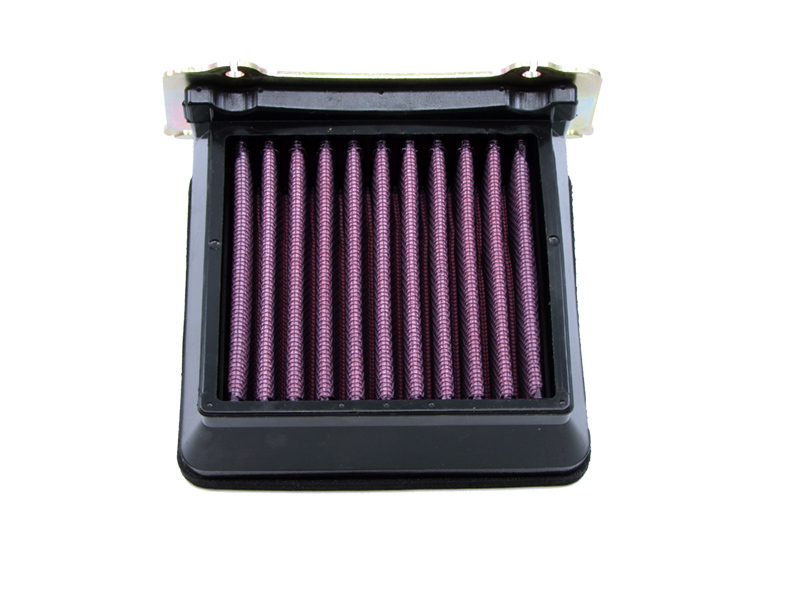 A perfect air tight sealing and trouble free filter installation for the user is guaranteed by using a high quality EVA seal, which is precisely cut and factory installed (glued). 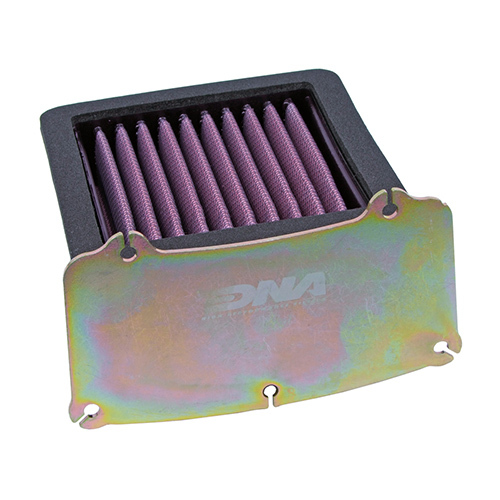 Installation of this new DNA Air Filter is very easy; simply follow the installation instructions included in the workshop manual. 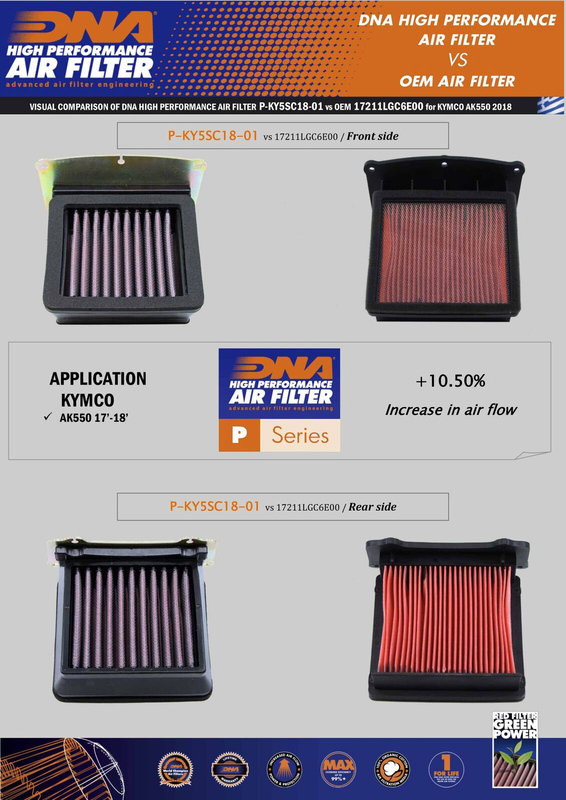 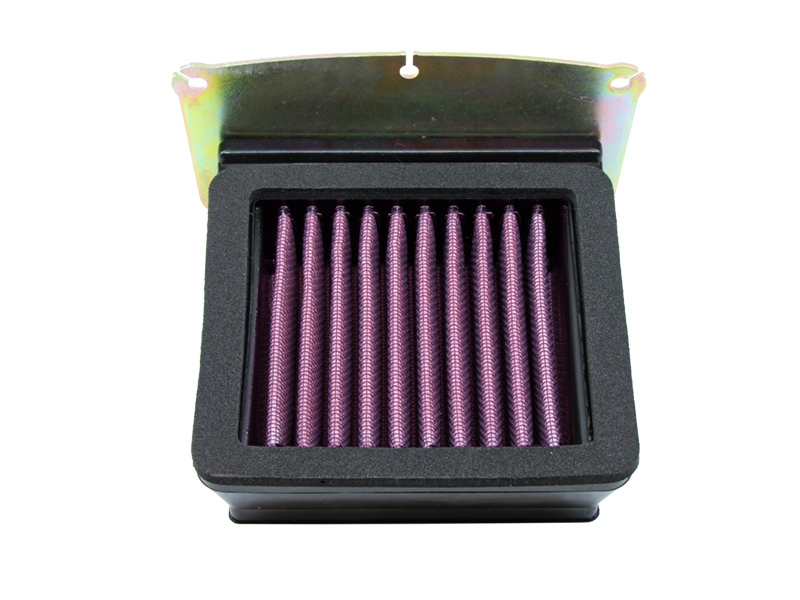 The flow of this new DNA filter is +10.50 % more than the stock KYMCO air filter!